You would never know these delicious decadent brownies have courgettes in them and so far, friends and family haven’t had a clue what either of the secret ingredients are: the courgettes to add an extra moistness (essential in a brownie); the espresso powder to enhance the chocolate flavour, giving an extra chocolatey taste with no hint of coffee. I love courgette season but OH doesn’t look forward to the masses of his least favourite vegetable turning up everywhere. So, after plenty of ratatouille, roasted courgette quiche, courgette soup, Smoked Salmon with Courgette Savoury Cake, lasagne and Courgette and Ginger Jam, OH was pleased to try courgette in a brownie. I hate to waste food even if the courgettes are growing so fast there are enough for the compost heap, so these Courgette Brownies are a great asset in what OH describes as “The Courgette Wars”. These Courgette Brownies are super moist, delicious & decadent - no one will ever guess there's zucchini in these brownies! Grate or shred your courgettes / zucchini before chopping the courgette into smaller pieces and place in a colander inside a bowl and sprinkle with salt. Leave to drain while you get on with the Brownies. Place the chocolate and butter in a microwaveable bowl and microwave on high for 1 to 2 minutes in 30 second bursts until melted. Stir until chocolate is nice and smooth and leave to cool. Pour the cooled chocolate mix into your egg mix carefully and gently fold together with a silicone spatula. Fold in the courgettes (and nuts if using) in a figure of 8 movement. Hold a sieve over the bowl of your chocolate mixture and sieve over the dry ingredients. Carefully fold in using a figure of eight movement. Pour mixture into the prepared tin, gently easing the mixture into the corners of the tin and levelling with a spatula. Pop in the oven for 30 minutes. Check to see if there is a paperlike crust on top – there should still be some movement in the centre of the tin. If it’s not ready, bake for another 5 minutes. If, when you remove your whisk, there is a trail on the surface of the mixture for a second or two, it's done. Pin Courgette Brownies for later. 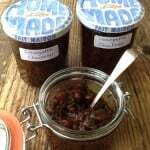 The No Waste Food Challenge hosted by Elizabeth over at Elizabeth’s Kitchen Diary. Ren’s Simple & In Season challenge over at Ren Behan. Choclette’s We Should Cocoa challenge over at Tin and Thyme. The Simply Eggcellent challenge hosted by Dom over at Belleau Kitchen. I plan ongiving these a go as my son loves brownies and it is an endless battle to get vegetables into him! I have baked some sweet marrow muffins this week and as courgettes and marrows are related may well give it a go substituting marrow as there is a bit of a glut of them here! Thanks for stopping by Sarah. Marrows would be fine in the brownies, you might want to discard the inner stringy seed middle you get when courgettes get too big. Giving the grated large courgette/marrow an extra chopping would be an a good idea too as marrow skins can get a bit tough. Let me know how you get on. My attempt at this recipe wasn’t very successful, it exploded out of my 7 X 11″ tin and still looks very soggy after 45mins, should there be some flour in this recipe? I am so sorry Roz. You are absolutely right, there is 150 g of plain flour missing from the ingredients list. Please accept my apologies for your wasted time and ingredients, I feel terrible as I do proof read my recipes, in this case I simply don’t know what happened. Gorgeous, and a great way to use up a glut of courgettes! Thank you for sharing with the No Waste Food Challenge! 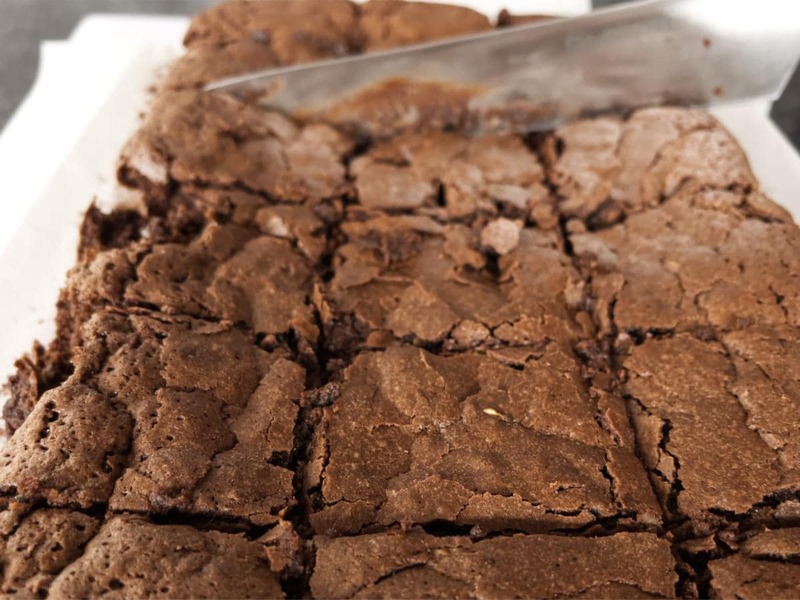 These brownies looks superb Sarah and just what a brownie ought to be like. 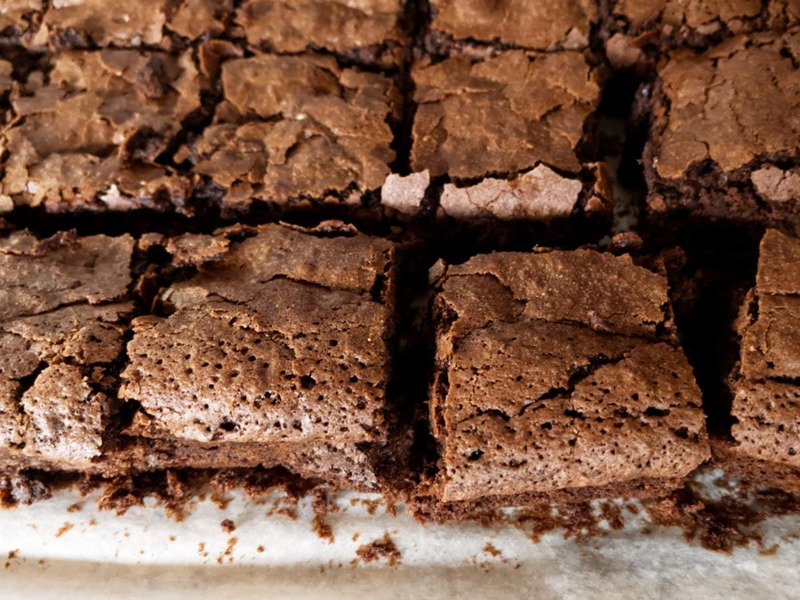 I’ve made courgette brownies before and they were good, but not nearly as good as these look. I’ve been making quite a few courgette fritters and pancakes – they are delicious and I defy anyone to dislike them. Something else to try OH with maybe? Thanks for joining in with #WeShouldCocoa. I like the idea of courgette fritters, definitely one to try on OH! Always a pleasure to link up with #WeShouldCocoa , I’ll try not to leave it so long next time. Thanks Ranjana, look forward to hearing how you get on, really interested in the egg substitute. Wow! These look incredible I would never have guessed that they contain courgette! 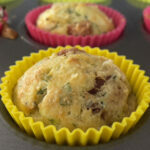 What a great way to hide some veggies in a decadent treat. Wonderful recipe and man do I want some chocolate now. Can’t wait for a glut of zuc’s now. Stopping by from Fabulous Foodie Fridays. Thanks Lizzie, hope you enjoy them as much as we do. Thanks Kaila, I’m not so sure OH is pleased I’ve introduced “The Courgette Wars” to everyone but I’ve got some more recipe ideas to keep him happy. Yummy! Great to hear OH loving these brownies 🙂 It really is a great way to work away all the courgettes! Thanks for sharing them at Fiesta Friday! 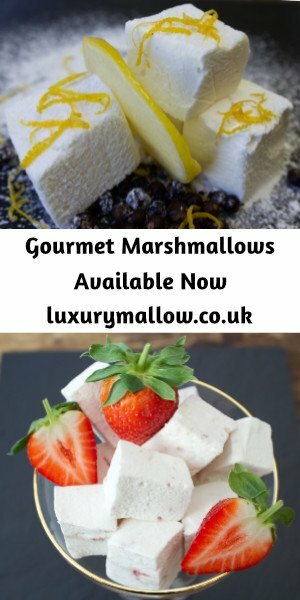 These look absolutely tasty! I always love to see how I can “hide” vegetables in sweet treats! I actually saw a black bean and avocado brownie recipe. Thanks for sharing! Thanks Bobi, black bean and avocado brownies sounds interesting, I’ve tried avocado and chocolate mousse, it was delicious. Wonderful recipe. 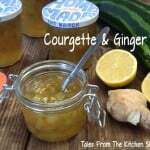 We always have an abundance of courgettes. One for us to try. Are these seriously in the chocolate family? I am on it! Thank you for absolutely spoiling us at #foodpornthursdays! 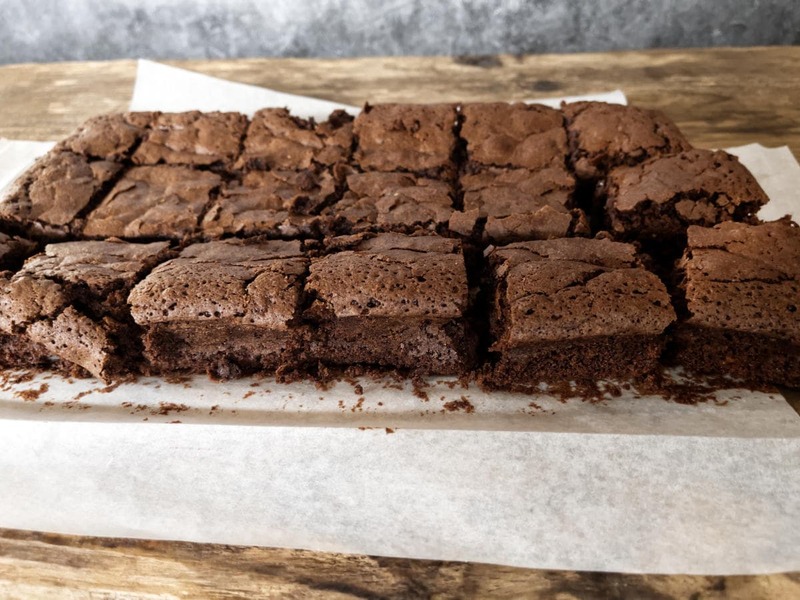 I adore baking with courgettes… the bake just gets moister and moister the longer you leave it… not that these brownies would last very long in my house, they’re stunning! Thanks for linking to Simply Eggcellent! 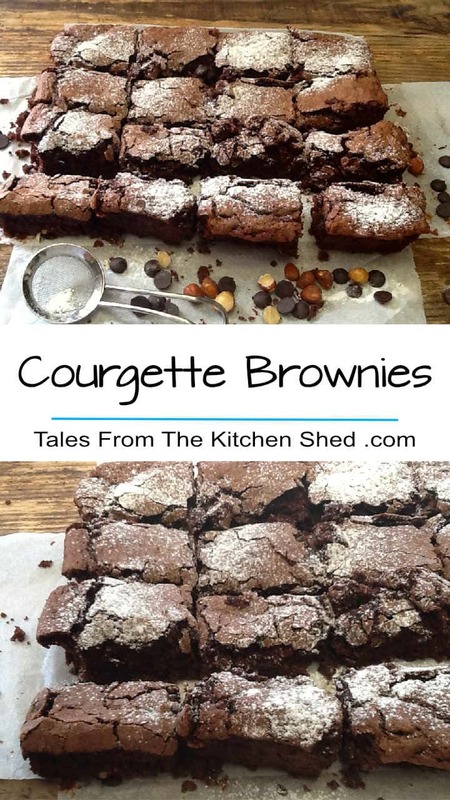 Love the idea of putting courgettes in Brownies! I wonder if it counts towards your 5 a day!?! 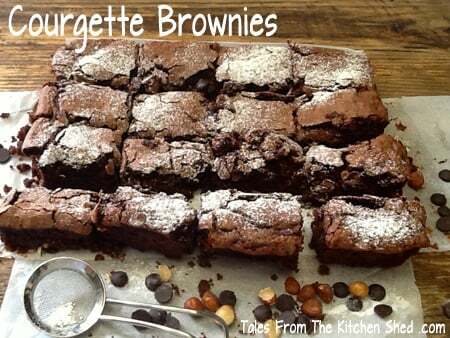 How interesting, I never would have even put courgette in the same sentence as brownies let alone in the same recipe but I’m curious to try it! Thanks for sharing.